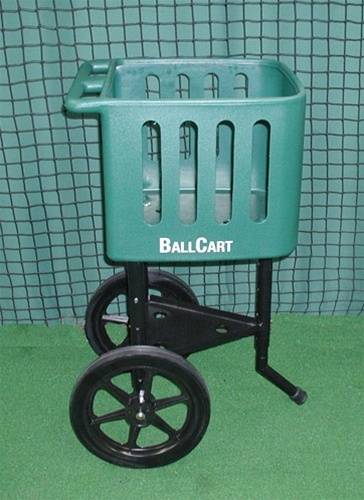 The BallCart Baseball / Softball Cart is a molded plastic hopper that sits upon a powder coated steel frame with no-rust aluminum insert legs. The legs are fully adjustable and move up and down so it is easy to get the cart to the perfect height. The BallCart is supported by two large back wheels and has a stationary front leg that allows for easy transportation. 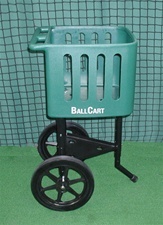 This cart makes a great addition to any batting cage and is a great coach's aid during baseball or softball practice.